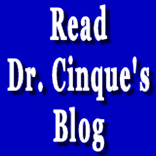 Note: This article is an expanded form of a previous blog concerning diuretics. It was written for publication on another website. But, you should read it, even if you have read the earlier blog. I believe it offers valuable information on the proper management of various conditions for which diuretics are commonly, and erroneously, prescribed. The greatest thing about the Internet is that it allows public debate of issues that would not otherwise be publically debated. For instance, although almost 10 years have passed since 9-1-1, the 911 truth movement is alive and well and growing, and it's all because of the Internet. The JFK truth movement too has benefted greatly from the Internet. Likewise, the Internet has become a bastion for medical skepticism. Look what happened last year with the supposed swine flu pandemic. Tens of millions of Americans refused to get the swine flu shot. The majority of Americans didn't get it. Where did such skepticism come from? It came from the Internet. And it's not just the swine flu shot. The Internet puts all medical drugs on trial like never before. Do an online search, and you can find a torrent of information about the harms from statin drugs, NSAIDs, acid blockers, arthritis medicines, horse estrogen, and more. I dare say, if you are prescribed a drug, and you don't do an online search about it before taking it, something is wrong with you. However, there is one class of prescription drugs that has largely escaped critical analysis on the Internet: diuretics. That is about to change. This article makes the case against diuretics and why you should think twice about taking them. And, diuretics are a very widely prescribed class of drugs. Diuretics are considered first-line treatment for high blood pressure, congestive heart failure, kidney failure, cirrhosis of the liver, and edema from just about any cause. You don't like the puffiness around your eyes in the morning? A doctor will give you a diuretic for that too. We all know what diuretics do- increase the urinary output- but how do they do it? To grasp that, you have to understand how the kidneys work. Kidney filtration starts with blood passing through a specialized cluster of high-pressure capillaries called a glomerulus. Because of the high pressure, water and disssolved substances are forced out of the capillaries into the capsule that surrounds the glomerulus, called Bowman's capsule. Then comes a long tubular system known as the renal tubule. There, the body reclaims some of the initial filtrate, including about two-thirds of the salt and water, and virtually all of the organic compounds, such as glucose and amino acids. The whole idea is to reclaim the good and leave behind the bad and to get the balance of everything just right. The whole filtering unit is called a nephron, and there are about a million nephrons in each kidney. Diuretics work by sabotaging the reclamation process so that more of the initial glomerular filtrate reaches the bladder. So, more water comes out, and also more minerals, such as sodium, potassium, and magnesium. There are different kinds of diuretics. For instance, loop diuretics interfere with reabsorption at the ascending loop, whereas thiazide diuretics interfere at the distal convoluted tubule. There are other kinds of diuretics, but those two seem to be the most widely prescribed. Keep in mind that the function of the kidneys is a very delicate and intricate process. It's influenced by multiple hormones, some of which are produced by the kidneys, and some of which are produced elsewhere, such as the pituitary gland and the adrenals. It's influenced by the body's pH, because, among other things, your kidneys work to maintain the proper acid/base balance. It's a vast, complicated, finely-tuned, precision process, and again: it's very delicate. To go in there, as with a sledgehammer, and pharmacologically force changes on this delicate process is certain to cause havoc. You wouldn't try to adjust a wrist watch with a sledge hammer, but they might as well be doing that when they give people diuretics. So, do diuretics make your kidneys work better? No, they make them work worse. The fluild output goes up but only because the whole discriminatory process has been seriously corrupted. The result is pharmacological dehydration. That's what you get when you take a diuretic. A diuretic adds a layer of pharmacological dehydration to whatever condition you started with. It doesn't address the causes of the original condition. It doesn't normalize anything. On the contrary, it adds another abnormality to the one that already exists. It certainly does not cure, fix, or correct anything. What it does do is camouflage the original condition. So, no matter what disease you started with, you now have two diseases, one naturally occurring, and the other drug-induced. The result of that morbid combination may kinda, sorta look like normal. But, the devil is in the details. Just because your swelling goes down a little in response to the diuretic does not mean you are getting better. You, the poor patient, are being deceived by your misguided doctor. The "improvement" is just a trick, a charade, a medical shenanigan. Nobody gets their issues resolved by taking a diuretic. All it does is mask symptoms while putting an additional strain on the body. I suppose it wouldn't matter if it were harmless. But, it is not harmless. It starts a train of evils that reaches far and wide. For example, JAMA reported in 2002 that patients in kidney failure who were given diuretics to "help" their kidneys had a 68% higher death rate! Being a bicyclist, I like to make an analogy to a bicycle wheel being "out of true." To get that perfect rotation back, a wobbly wheel is placed in a device, and then the spokes are adjusted- some tightened and some loosened until the wheel rotates evenly again. But, you can't go about it willy-nilly. If you don't know what you're doing, and you start cavalierly tightening and loosening spokes to correct a wobble, you can easily create a worse wobble elsewhere. You'd be surprised how easy it is to make a bad wheel worse when trying to fix it- if you don't know what you're doing. You can easily dig yourself in deeper. And that's exactly what happens when you take a diuretic; you're just digging yourself in deeper, making a bad situation worse. You're just complicating your condition and taking your whole biological system further "out of true." And you are setting yourself up for unending medical dependency. So, don't be lured by the prospect of a symptomatic improvement from taking a diuretic. It's not worth it. It will always prove to be meager and temporary. No real good comes from it. I assure you that diuretics never restored anyone to health. It's really just a trap- a deceptive medical trap. The list of potential side effects from diuretics is long: headaches, weakness, faintness, nausea, vomiting, stomach upset, muscle cramps, etc. etc., but, what concerns me most is the damage to the kidneys (which is irreversible) and the cardiac arrhythmias (which can cause sudden death). So, what should you do instead of taking a diuretic? Let's take it one condition at a time. Heart Failure: If your heart is failing, taking diuretics is not going to make it stronger. Fluid pools in the legs with left-sided heart failure. I say just live with it. Don't cover it up with diuretics. What you need is a total health program to rehabilitate your heart. That means getting the right food (ie, whole natural foods, with plenty of fruits and vegetables, while avoiding junk carbs and junk fats) the right exercise (being careful and diligent about it, respecting your limitations) shedding excess weight, tightly controlling sodium (ie, the amount you put in your mouth, not what your kidneys do with it), etc. Heart-supporting supplements such as Coenzyme Q10, Taurine , Acetyl-l-carnitine, high-dose Vitamin D3, and others should be considered. And of course, you should work with a doctor, but not one who is going to lace you with diuretics. Look, the fluid in your legs is there; you can live with it for a while. Just accept it. Use it as a way to monitor your progress. If you do many things right, the fluid buildup will slowly dissipate- without forcing measures. And as it starts going down- on its own accord- you'll know you are on the right track. What you want is a real recovery- not some medical fabrication. High Blood Pressure: You could say that most people with high blood pressure have walking high blood pressure, meaning that there is no emergency, and they don't feel sick. It means they have time to apply natural methods and avoid the pharmaceutical route. Again, it starts with natural diet, exercise, weight control, habit control, de-stressing, de-caffeinating, etc. etc. And again, there are natural supplements worth considering, such as fish oil, resveratrol, CoQ10, policosonal, magnesium, and more. It's all very safe stuff. But, why take a diuretic? You don't have high blood pressure because your kidneys are impaired. You may have impaired kidneys because you have high blood pressure, but don't get the cart before the horse. And as I explained, you can't normalize your kidneys by taking diuretics. Even the seeming good that comes from taking a diuretic for high blood pressure isn't all that much. Why do you think they often combine diuretics with other anti-hypertensive drugs? It's because the results from taking a diuretic alone is often unsatisfactory and inadequate. I say forget about it. Adding a layer of pharmacological dehydration to your condition is not going to help you. And don't let them use fear to control you. OH, you're gong to have a heart attack or a stroke if you don't start taking the drugs right away! You may have had high blood pressure for years without knowing it. Millions of Americans have it right now and don't know it. And yes, some of them will go on to have heart attacks and strokes, but don't assume for a second that those who take diuretics and other prescriptions for hypertension become immune to heart attacks and strokes. That's part of the big lie. They're selling this stuff- just like flu vaccine. There is one caveat regarding high blood pressure, and that concerns malignant hypertension. Malignant hypertension is a condition in which the blood pressure spikes so high and so fast, that it is truly a medical emergency. Symptoms are acute: extreme headache, visual disturbances, gait disturbances, cognitive disturbances- even speech impediments. I am not challenging emergency medical treatment of malignant hypertension. However, keep in mind that it comprises a very tiny percentage of cases of hypertension. The vast majority of patients fall into the walking hypertension category, for which natural alternative methods are far superior. Venous insufficiency: This is where the venous valves which prevent backflow are defective causing the ankles and legs to swell, and there is also an unsightly appearance of the broken, damaged veins. If it were me, I would walk as much as possible, use the slant board every day, wear supportive legwear, raise the foot of my bed slightly, eat well (again, lots of fruits and vegetables), and I would take natural botannicals that have been shown to support vascular health, such as horse chestnut, butchers broom, and grape seed extract. But, I would not take diuretics, which can only mask the condition. Ascites: This is where the abdomen swells because of liver disease. There are a lot of things you can do to aid an ailing liver, but taking diuretics is not one of them. On the contrary, diuretics strain the liver. Obviously, the lifestyle issues must be addressed, including eating habits, drinking habits, drugs habits, etc. And there are many supplements that can aid an ailing liver, including Silymarin from millk thistle, NAC, SAM-e, TMG, lipoic acid, and more. Obviously, a bloated abdomen can look alarming, but it's not usually painful. Just let it subside by itself (which it will) when you do everything else right. And again, as the swelling slowly subsides, you will know that you are on the right course. So, you can use it as a barometer of your progress. There is no good reason to mask it with diuretics. This doesn't begin to cover all the conditions for which diuretics are used, but hopefully, you are getting the idea. Am I saying that there is no legitimate, beneficial use of diuretics? Let me put it this way: I can't think of a single condition for which I, Ralph Cinque, would be willing to take a diuretic. Not one. Whatever the problem might be, I would deal with it in other, more constructive ways. In case I haven't made myself clear, I DON'T LIKE DIURETICS. They don't do any good. They just create the illusion of improvement. You can't force the kidneys to work better. It just isn't possible. It only invites trouble. Serious, major trouble.